• Goldwing GL1800 Amber L.E.D. Mirror Lights add a touch of style and additional visibility to your turn signals. 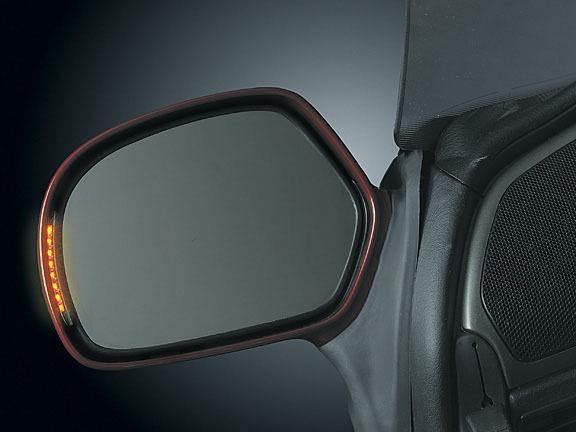 • Their slim construction does not interfere with viewable mirror surface. 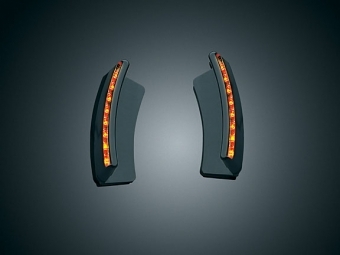 • When the turn signals are not in use, they are nearly invisible. • Wire harness and installation instructions incl.